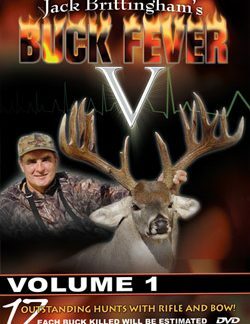 In the Briar Lakes Productions tradition of hunting excellence, we bring you Buck Fever IV. Once again, our extremely high standards regarding trophy quality and hunting excitement have been met. You will join us for hunts in Pennsylvania and the Midwest, as well as, Kansas, East Texas and the Trophy Triangle of the famed South Texas Brush County. 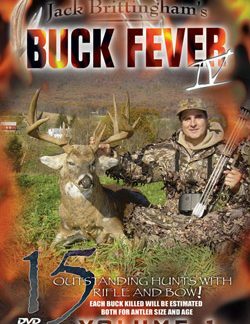 Join hosts Jack Brittingham, Richie Bland, and Dennis Spence, along with many other hunters, as you witness the taking of some world class Whitetails. 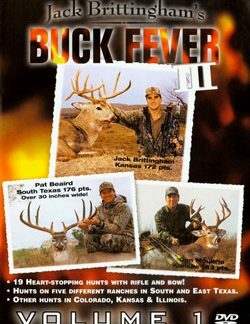 These hunts clearly portray the excitement felt when confronted with the once in a lifetime chance at bucks ranging in size from 125 inches all the way up to 219 inches! Of particular interest is the segment on rattling in the South Texas Coastal Plains. 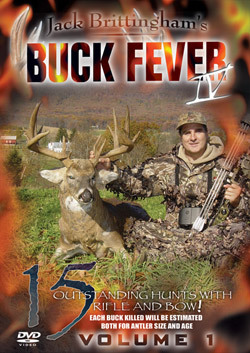 You have never seen so many bucks respond to the horns. 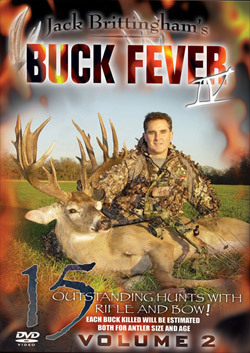 Each Volume of Buck Fever IV contains 15 exciting hunts. Each buck shown during the hunt will be estimated both for antler size and age, giving you invaluable information which can be used in your personal hunting or management to last year’s contest, we will once again be giving away a Free Trophy Whitetail Hunt in South Texas!